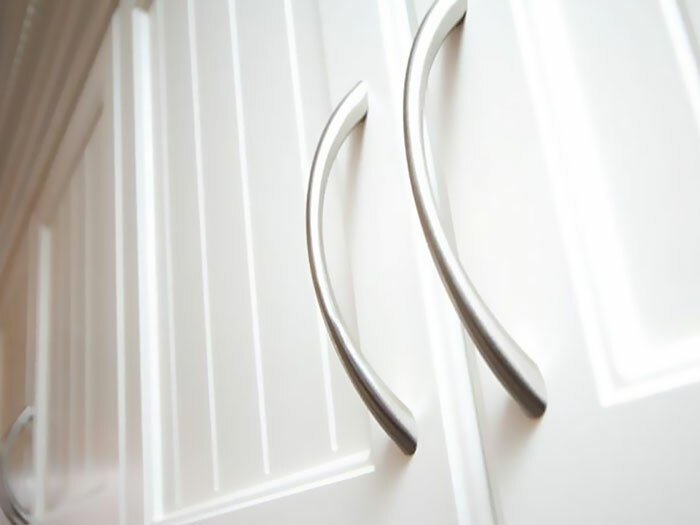 Your new custom-made cabinets wouldn’t be complete without a set of stylish handles. Grandview Kitchens has a range of quality handles and knobs in a variety of shapes, sizes and colours to suit any décor, from traditional to modern. We offer a range of outstanding architectural cabinet ware. Our wide range of cabinet handles are sourced from a variety of manufacturers like Hafele, Kethy, Furnware Dorset and Titus Tekform. Choose from a variety of traditional, modern and classic French Provincial designs. Brushed Nickel, Bright Chrome, Polished Brass, Zinc alloy, Aluminium, Stainless Steel and Pewter are just some of the colours and tones available. Also, if you have seen the perfect cabinet handles from another supplier, we can source them and install them in your new kitchen. Don’t run around town sourcing the perfect cabinet handles – Grandview Kitchens can take the hassle out of kitchen hardware. We have the latest in handle design, featuring the current styles from Australia and Europe. We here at Grandview Kitchens always ensure that your kitchen gets the best of design elements offered by us. To take advantage of our services and experience. Contact us to arrange an appointment or head to our showroom at 32-36 Burgess rd Bayswater North. You can also head to our Gallery for some great ideas.. 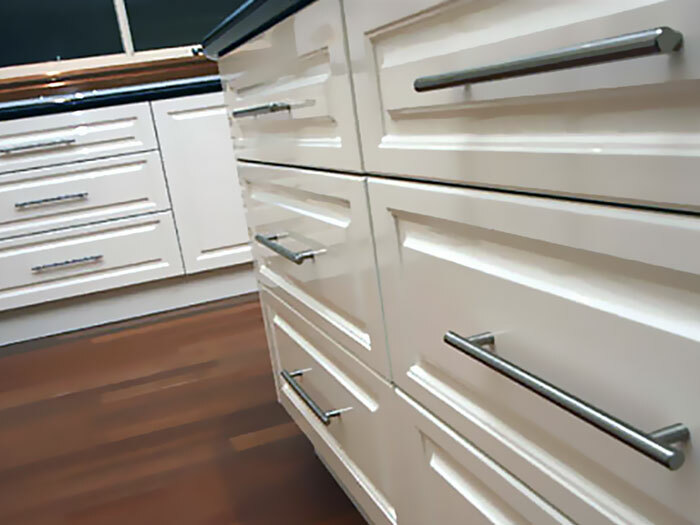 Call us today to make your cabinet hardware requirements for Melbourne kitchens a reality.